Sheila K. Collins is an expert on dealing with some of life's toughest challenges. Dr. Collins brings wisdom from her personal and career life to every speech, workshop and performance, demonstrating the essence of resilience. Her award-winning memoir, Warrior Mother: Fierce Love, Unbearable Loss and the Rituals that Heal chronicles her experiences accompanying her best friend through 14 days of her dying, unexpectedly preparing Sheila to accompany her son who lived with and died from AIDS and her daughter, who lived with and died from Breast Cancer. As a social work professor, psychotherapist, and behavioral health care clinic director, Sheila knows firsthand what helps and what hinders people's journeys through tough and challenging circumstances. Skills as a dancer and improvisational performer enable Sheila to craft her message of hope in a humorous and unpretentious way, leaving her audience inspired and empowered with renewed energy to manage their own life challenges. Dr. Collins currently directs the Wing & A Prayer Pittsburgh Players, an improvisational performance troupe that uses the art-based tools of InterPlay to explore large-scale societal challenges such as mental illness, violence, and racism. She travels nationally and internationally assisting individuals and organizations to tell their stories in transforming ways. 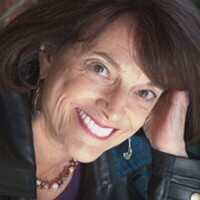 Find out more about Dr. Sheila K Collins at http://www.sheilakcollins.com.